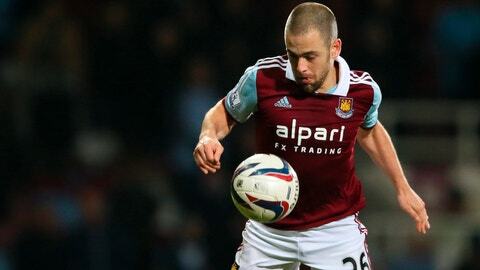 LONDON (AP) — Former England and Chelsea midfielder Joe Cole has retired from soccer. The 37-year-old Cole completed his career with the Tampa Bay Rowdies in the United Soccer League, scoring 104 goals in 716 professional appearances for seven teams. After impressing at West Ham, Cole made his England debut at 19 and went on to earn 56 caps and appear at three World Cups. Cole was part of England’s so-called Golden Generation, playing alongside David Beckham and Wayne Rooney. He moved across London to Chelsea after West Ham’s relegation from the Premier League in 2003. Cole won every domestic honor during his time at Chelsea, contributing to the west London club’s first English title in 50 years in 2005 under Jose Mourinho. A 2 1/2-year spell at Liverpool saw Cole make only 42 appearances, scoring five goals. A season-long return to West Ham was followed by spells at Aston Villa, Coventry and then the Rowdies in Florida. “I’ve been incredibly fortunate to have played with some of the very best players of my era and even more fortunate to call a lot of them friends,” Cole said. “Winning trophies at Chelsea was particularly special for me. Those memories will live with me forever, as will the chance I had to share them with my family.